Climat Pure Perfume by Lancome .47 oz Pure Perfume for Women. 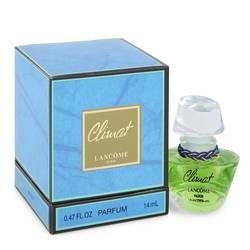 Launched by the design house of Lancome in 1967, CLIMAT is classified as a luxurious, gentle, floral fragrance. This feminine scent possesses a blend of soft, floral aldehydes with sparkling aldehydes. It is recommended for romantic wear.